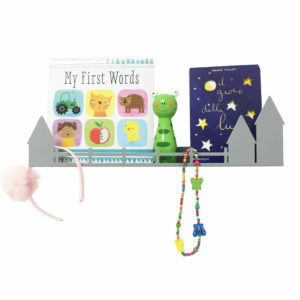 Keep books and artwork in easy reach on shelves that create an attractive display. 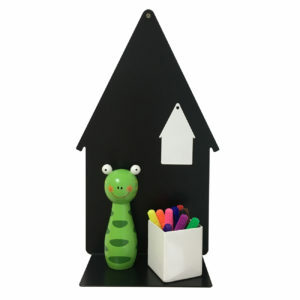 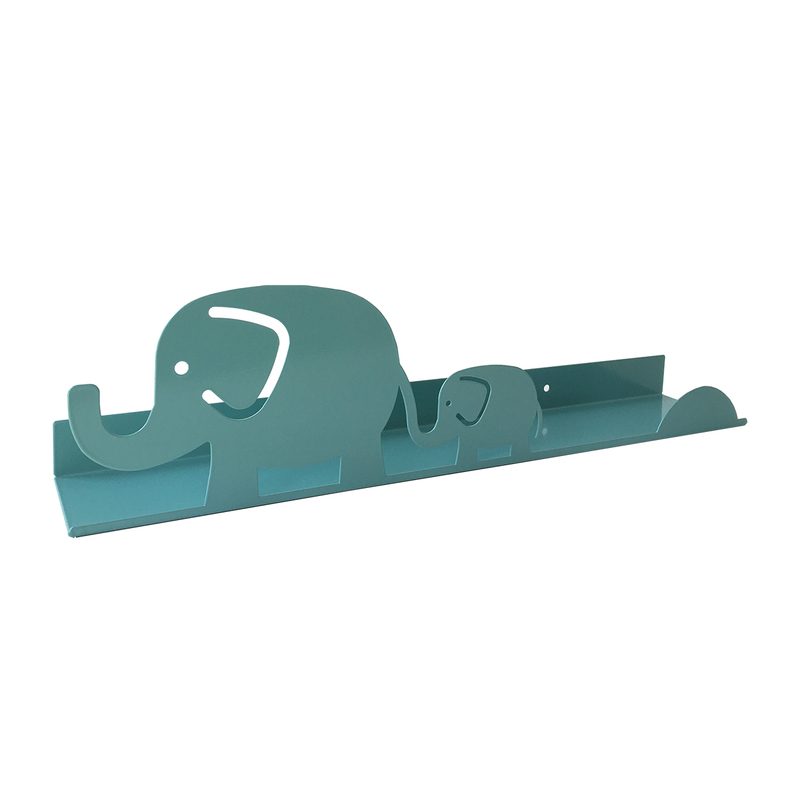 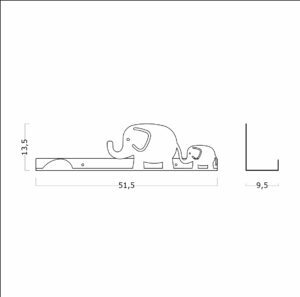 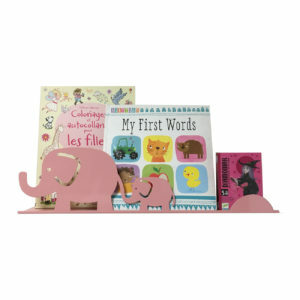 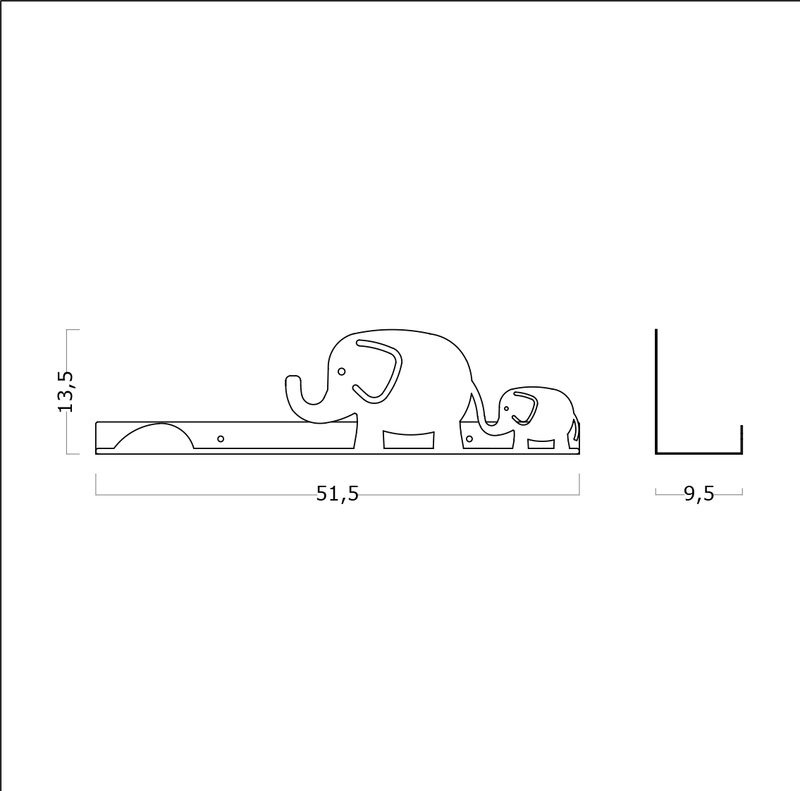 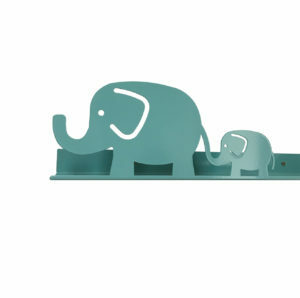 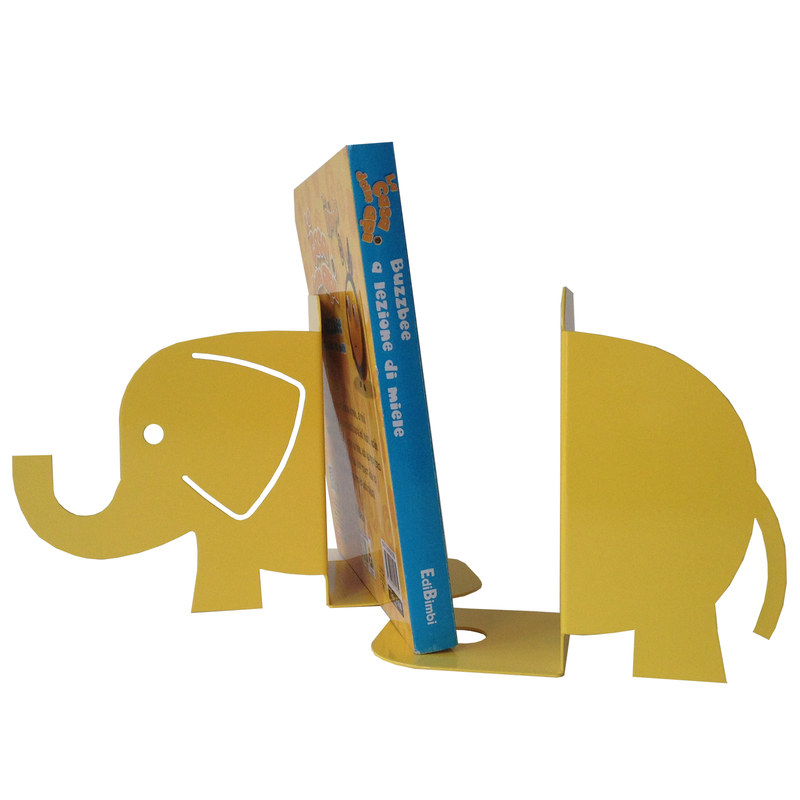 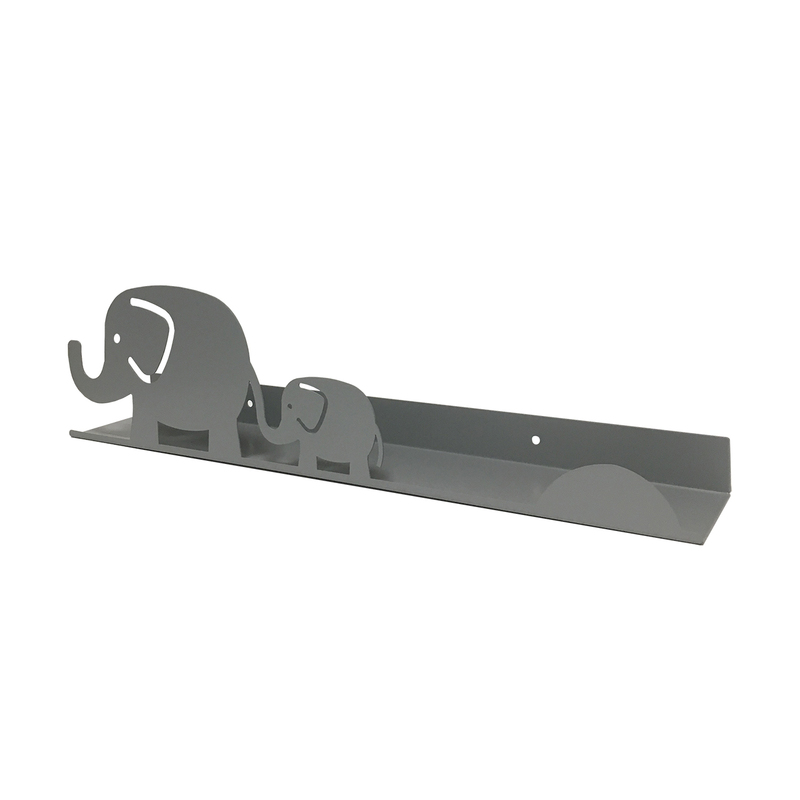 Montessori Shelf in Elephant shaped, for delightful and colorful environments. 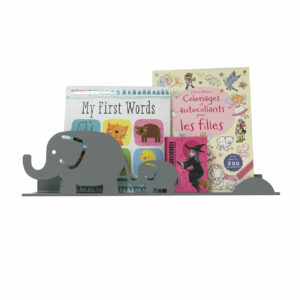 Metal shelf over which with pleasing magnets you can attach photos or drawings. 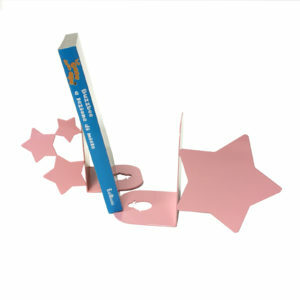 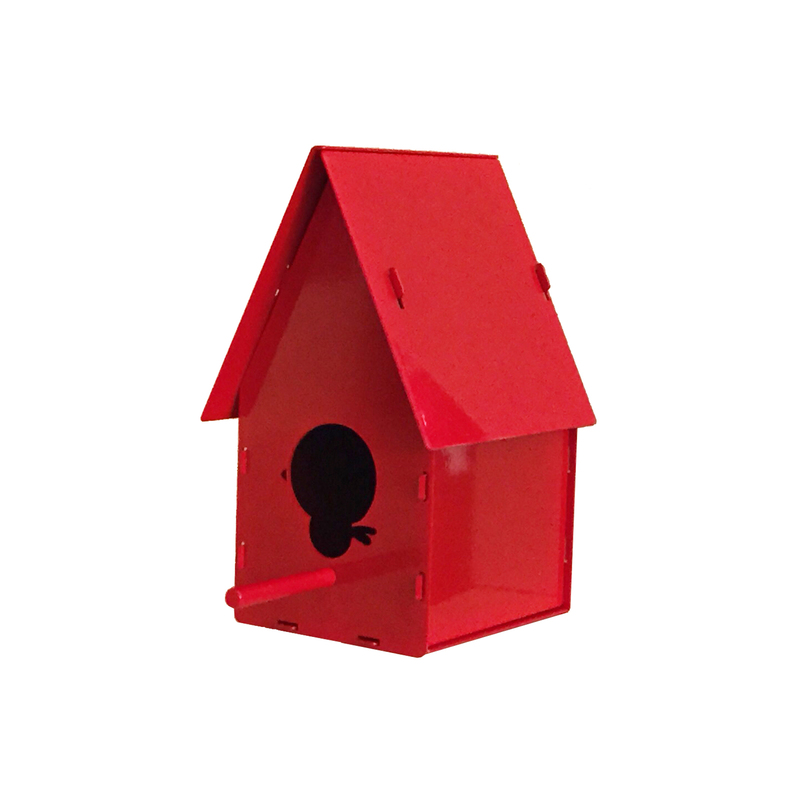 A shallow library to be placed in small environments or over the bed. 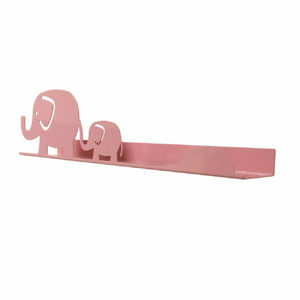 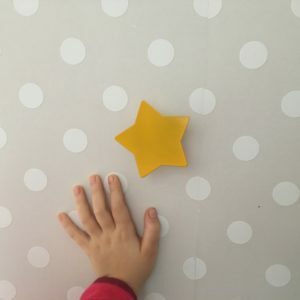 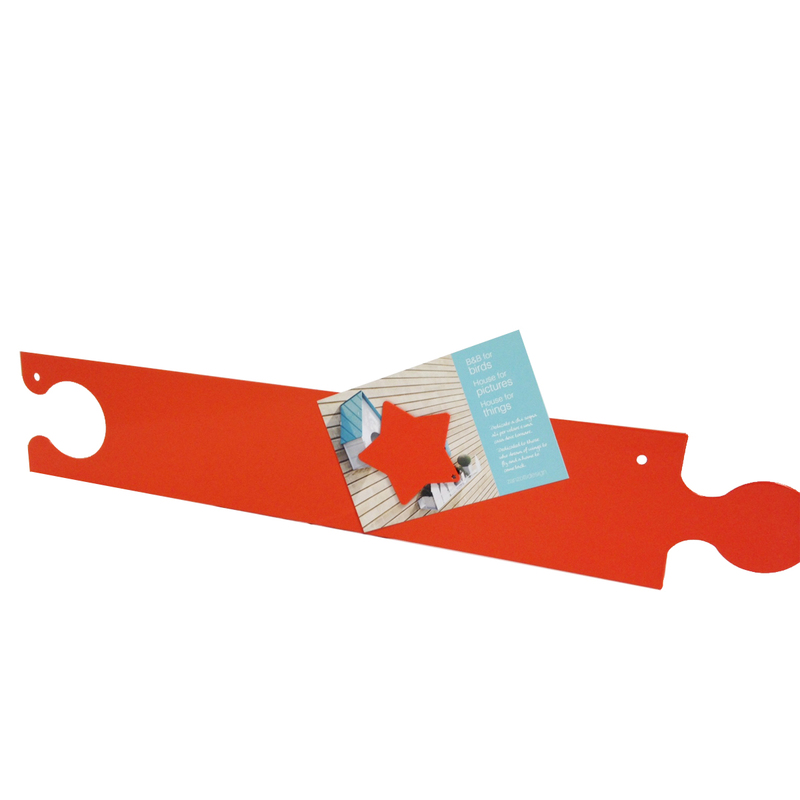 Powder-coated metal shelf with non-toxic paints. Available in RAL colors: 7042 gray, 3015 pink, 6034 celestial.